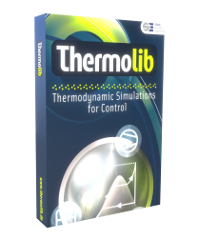 Thermolib – The key to thermal management in Simulink®. Take a tour on the Thermolib website and get your free trial today! Thermolib extends and expands MATLAB® / Simulink® for modeling and simulation of thermodynamic systems. It allows engineers to simulate complete thermodynamic systems rapidly, simply and accurately resulting in reduced cost and lead times for product maintenance and development. Thermolib can be used for all types of energy related areas such as power generation, process industries, heating and air conditioning, as well as automotive and aerospace applications. Start improving your efficiency and productivity for competitive advantage by designing, simulating and optimizing your ideas with Thermolib.